Super Indian Garners Awards and Prestigious Shout Outs! We’re super proud here at Rezium Studios to let you know that “Super Indian Volume Two” was named the “Best Trade Paperback” by the Wordcraft Circle of Native Writers and Storytellers organization. The awards will be handed out on Saturday, December 5, 2016 at the Indian Pueblo Cultural Center. Arigon will also present a workshop on creative Native-style comic book during the upcoming “Returning The Gift” conference. It all happens in Albuquerque, New Mexico from December 2-5. Arigon and “Super Indian” are also featured in this month’s School Library Journal. The article, “Teen Books by Native Writers to Trumpet Year-Round” was penned by Debbie Reese and includes work from other noted Native writers like Richard Van Camp, Cynthia Leitich Smith and Aaron Paquette. Arigon also was a featured performer at the annual Western Literature Conference in Reno, Nevada. 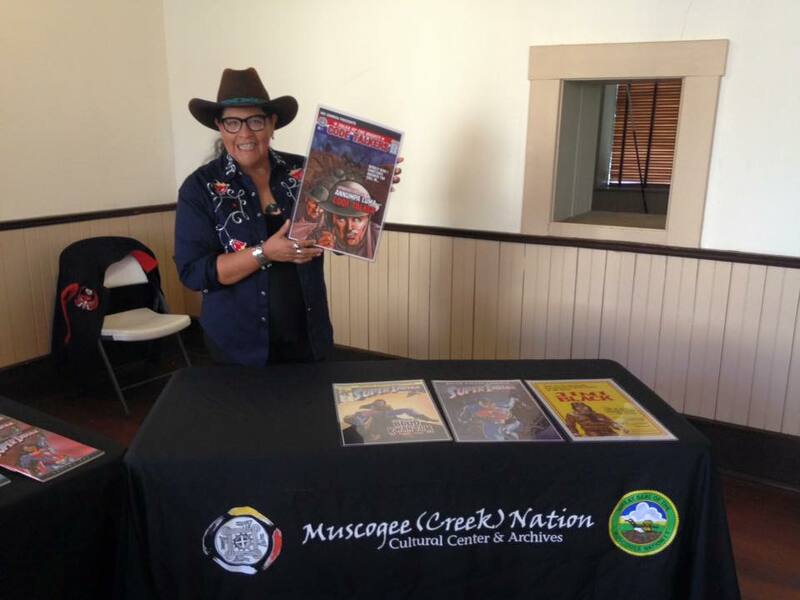 She also made time for a special book signing event put on by the Muscogee Nation Cultural Center. Here she is in Okmulgee, OK doing her thing!